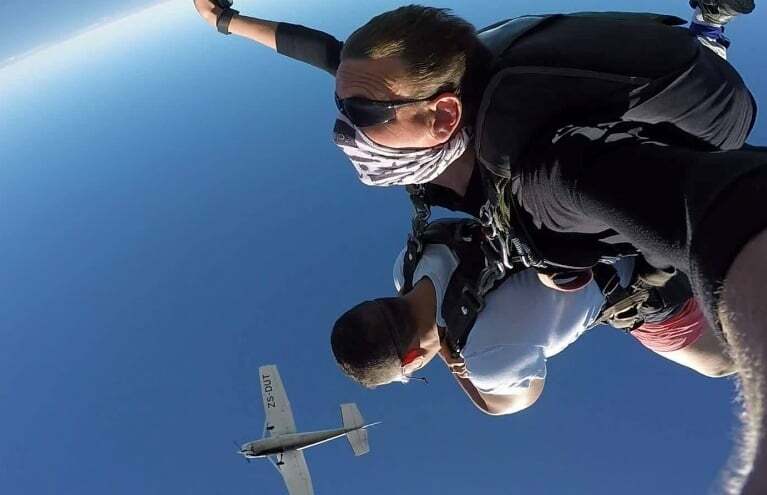 Skydiving is probably the most extreme sport accessible to the general public, making it a bucket list staple for daredevils across the globe. With an Experience Days gift certificate, you can treat a lucky someone to the ultimate adventure with ease and earn a place in their good books forever! 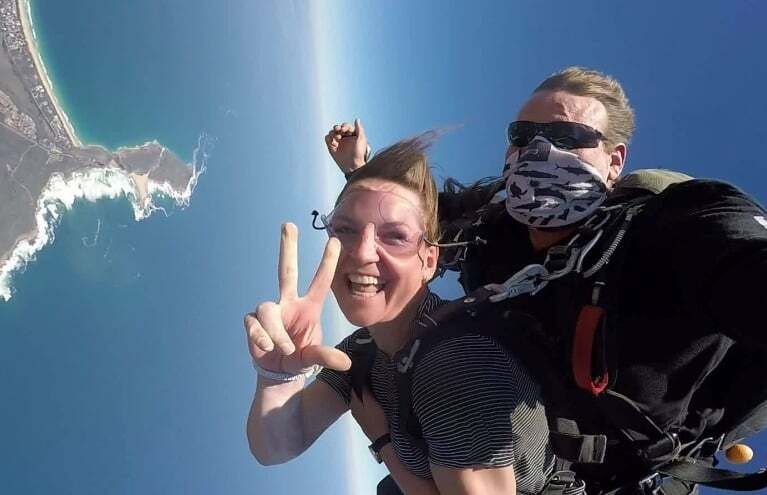 All our skydiving operators are professionally trained with years of experience in the industry, meaning you'll be in safe hands when taking on this incredible challenge. 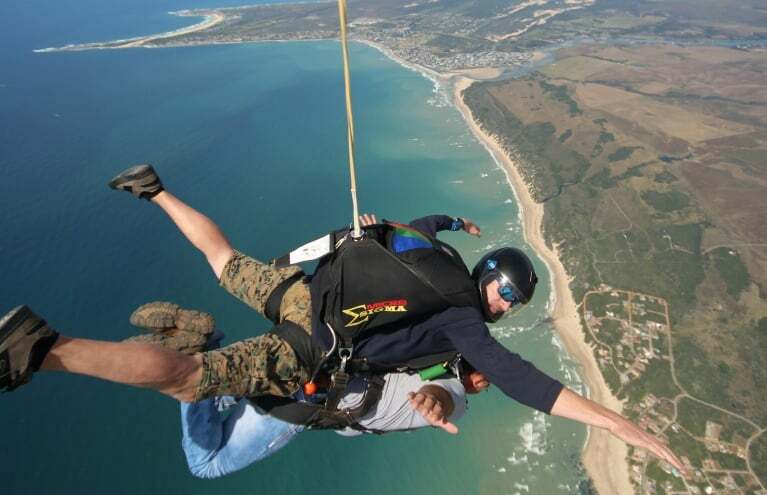 Jump 12,000ft from a Cessna 182 over the glorious Plettenberg Bay! 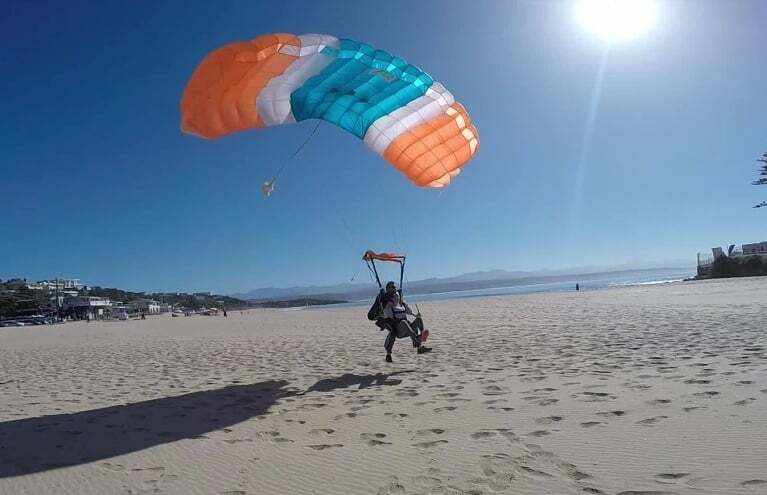 Skydive 10,000ft over Plettenberg Bay and gracefully land on Central Beach! 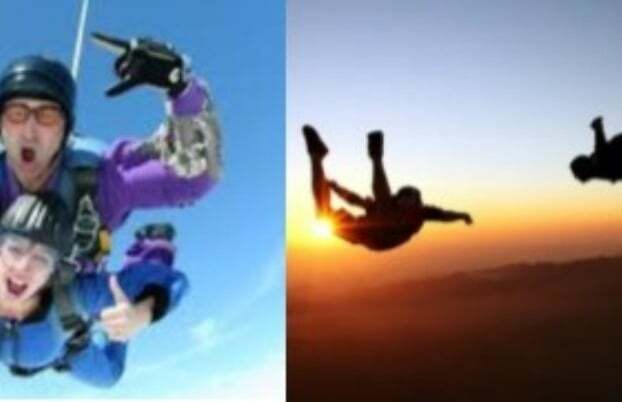 The concept of skydiving has been around since the 18th century, but did not become an international sport until nearly 200 years later in 1952. 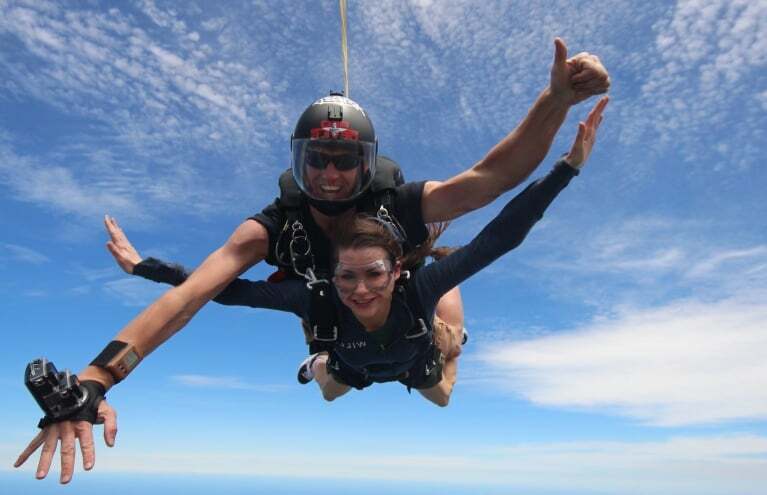 Since then, the technique has been perfected and the equipment has been developed to the modern skydiving we know today, suitable for people of all ages and abilities. With a professional instructor strapped to your back, you're in safe hands as the plane ascends and the door opens. 3...2...1... jump! The sensation of free-falling is unparalleled, and entirely indescribable to those who haven't experienced the feeling themselves. 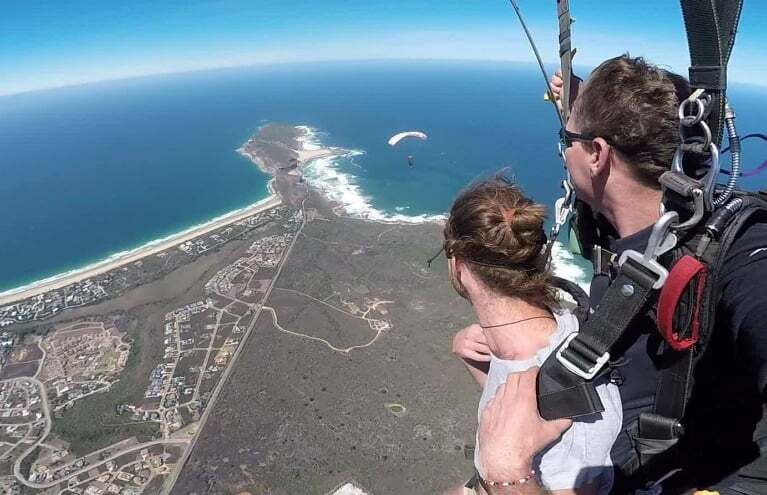 Once the parachute is deployed you'll get to enjoy the gentle canopy ride back to earth, seeing for miles around and taking in the incredible South African landscape. 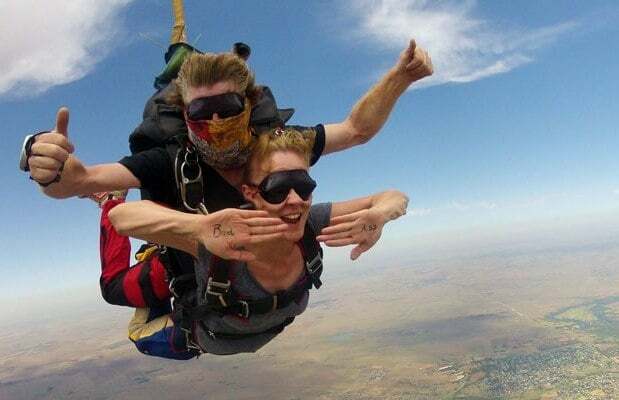 Whether you opt for a tandem skydiving experience in Free State, gliding over the Vaal River and its impressive dam, or jump from a plane over Plettenberg Bay and see out to the far reaches of the Indian Ocean, you're guaranteed an utterly unforgettable adrenaline rush. Nothing can compare to a skydiving experience, so treat yourself or a lucky someone and join the realms of free-fall fanatics!